Being a largely Pharmacy sold product, they’ve taken a very pharmaceutical approach to their formulations; sort of the hair care equivalent of La Roche-Posay or Vichy. 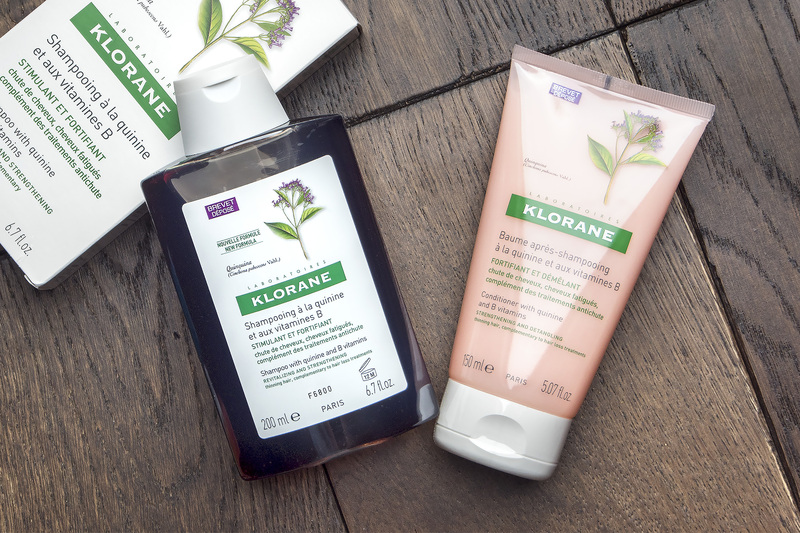 Klorane Quinine B6 utilises the astringent powers of Quinine, an ingredient that has been formulated to remove excess dead skin cells on the scalp that restrict hair growth whilst increasing micro-circulation to the skin; a healthy scalp equals healthy hair! This is not a hair-loss product as we all know by now that reversing hair loss is impossible without hair implant procedures etc. But if you’re finding your hair is very fine, this will definitely aid in giving it a bit of volume and thickness. For reference, I have fine hair, but lots of it so I often find my hair can go quite flat, easily. The shampoo is gorgeous. It has the colour of coca-cola and an incredible traditional, French soap smell. It gives a great lather and cuts through grease, product and general ‘bleurgh’ like no other without leaving your hair dry (but you’ll definitely need to use conditioner and should always anyway). Using a brush in the shower to cleanse and condition your hair is my absolute, number one hair trick. It cleanses the scalp, exfoliates, really stimulates blood flow and then distributes your conditioner evenly and thoroughly. My weapon of choice is the Denman shower brush which you can pick up from your nearest Sally’s for a few quid or here online from John Lewis. Get one, seriously! You’ll never look back. I found after a week’s use that my hair felt thicker for sure, but I would definitely recommend using a hydrating conditioner after the Klorane conditioner (which does provide treatment benefits). I’d recommend checking out The Body Shop’s Rainforest Moisture conditioner which feels great, isn’t greasy and contains absolutely no nasties for a great price! This article first appeared on MANFACE written by Thom Watson. It was published on Tuesday 12th January 2016 and was last updated on Monday 3rd April 2017 at 1:15pm. It's categorised under Conditioner, Klorane, Shampoo where you'll find more related content. You’re more than welcome guys, really great products.